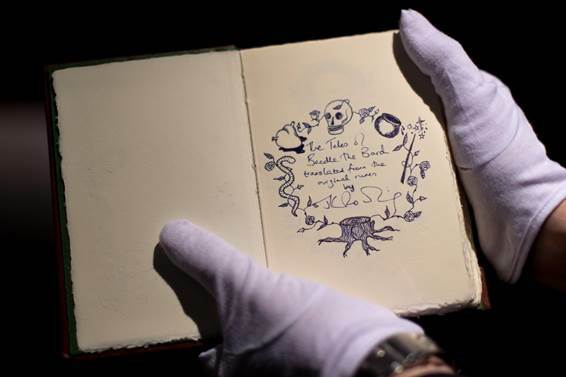 A rare presentation copy of The Tales of Beedle the Bard, created, hand-written and illustrated by JK Rowling, containing a personal inscription by the author to the editor who launched her career, will be offered for sale at Sotheby's London in December. A true Christmas treat, The Tales of Beedle the Bard is estimated to reach £300 000-500 000 when it hits the saleroom on 13th December. The present copy, number 3 of the 7 that J.K Rowling produced, was presented to British publisher Barry Cunningham, who famously accepted the first Harry Potter book for publication. This copy is especially importanto wizard fans as Cunningham played an instrumental role in launching J.K Rowling’s career as an international best-selling author. Originally presented as a personal gift to 'those most closely connected to the Harry Potter books,' the manuscript of wizarding tales is one of only seven unique copies produced for the most important people in Rowling's life during this time. 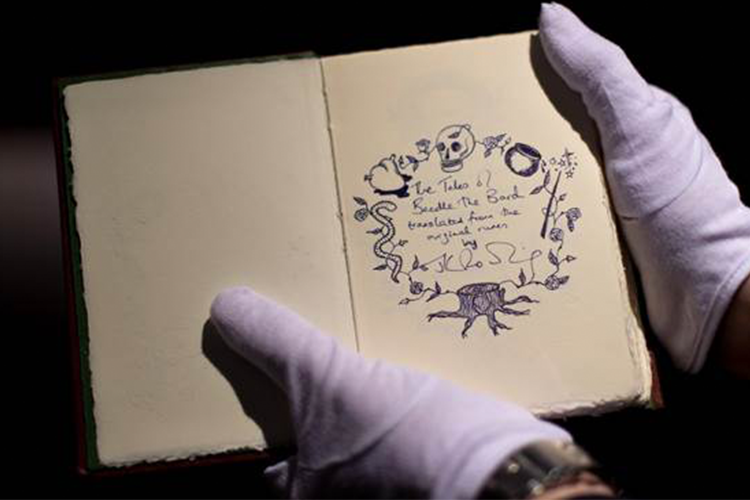 In 2007, a seventh copy produced specifically for sale at auction to raise money for J.K Rowling's charity Lumos, was sold at Sotheby's for a record-breaking £1.95 million. The magical book will be on view at Sotheby's New York from 9th-11th November and Sotheby's London from 9th-13th December, 2016. Search Sotheby's here.